Punta Cana has a long-standing reputation for being the home of the Dominican Republic’s top all-inclusive resorts, set along some of the most beautiful beaches in the Caribbean. 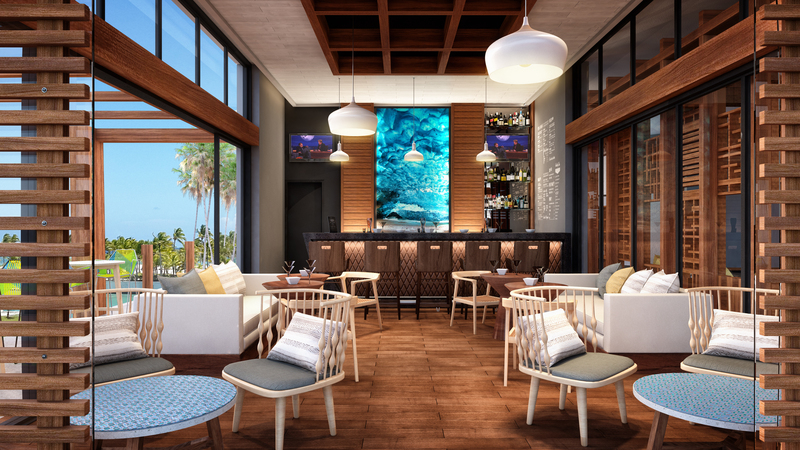 The Cap Cana resort area found within Punta Cana aims to enhance travelers’ experiences even further, and with the help of luxury resorts Alsol Tiara Cap Cana and Sanctuary Cap Cana by Alsol, it far exceeds expectations. 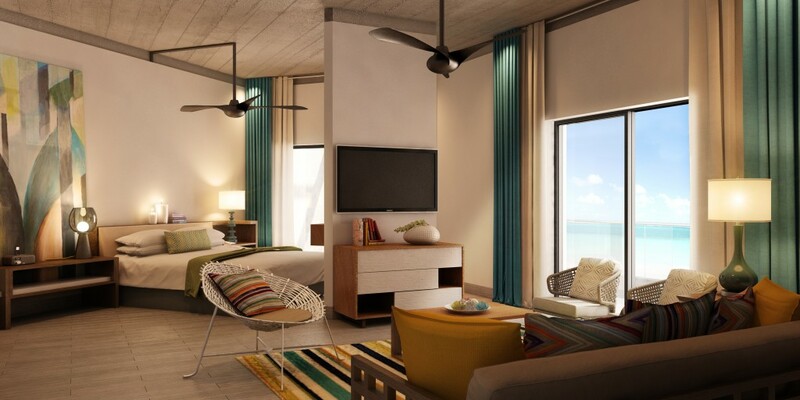 With luxury amenities and the added benefit of being the only properties in Cap Cana with GOGO’s exclusive My Time amenities, a stay with these Alsol resorts is sure to be nothing short of pure bliss. 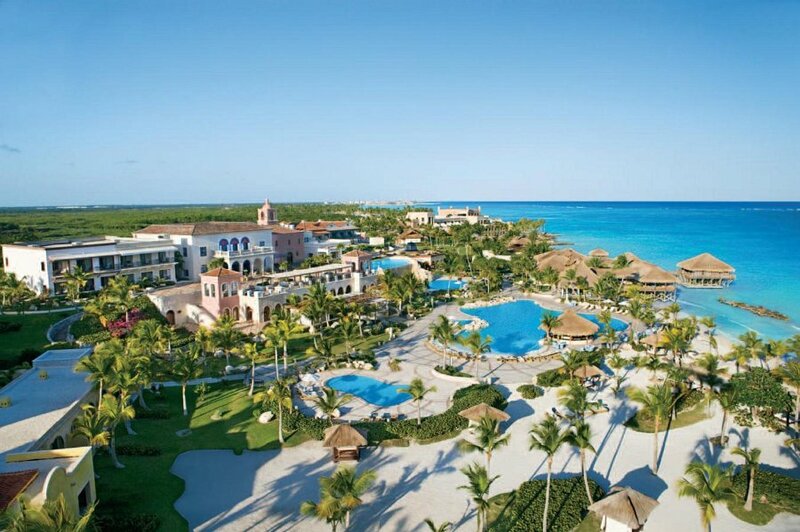 Alsol Tiara Cap Cana is the castle away from home that you have been looking for. Whether escaping on a romantic retreat with your love or getting away with friends, this luxury all-inclusive has the outstanding amenities you need for an ideal vacation. In every one of its 115 suites you’ll find space, space, and more space with choices that range from open Marina Suites complete with furnished living rooms and terraces/balconies to the lovely and large Luxury Master Suite with separate living area. You’ll be thankful for your comfortable rooms after limitless entertainment and activities keep you out and about. During the day, take advantage of dance and Spanish lessons, cooking demonstrations, or rounds of golf at nearby Jack Nicklaus designed Punta Espada Golf Club – contact the club for golf prices. When the sun goes down, Alsol Tiara Cap Cana lights up the night with beach parties, movie nights, live music, and a weekly staff vs. guests volleyball tournament. If rest and rejuvenation is on your mind, treat yourself to a massage at the Babor Spa. 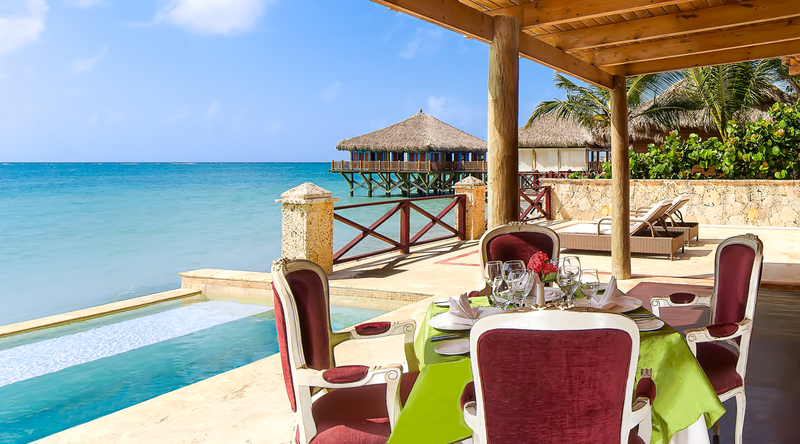 Fill up on the variety of vibrant flavors offered at the resort’s three specialty restaurants. Xoxolati channels Mexico’s signature dishes, and the laid-back atmosphere with an open-air concept is perfect for enjoying tropical breezes. Add a little Asian flair to your Caribbean getaway with skillfully crafted teppanyaki prepared right before your eyes at Blue Lotus, or taste the bounties of the island at the Caribya Beach Grill, which serves up fresh seafood and scrumptious favorites like prime steaks. Its name promises sanctuary, and you’ll find that and then some at this 5-star all-inclusive haven. Sanctuary Cap Cana by Alsol indulges your every fantasy for a luxury adult-only getaway. Relish in opulent suites with large living areas and full bath complete with robes and slippers. Bring your friends for a true celebration and stay in one of the two-bedroom Castle Island Suites with three indoor plunge pools or the Royalty Villa with stunning ocean views and a large terrace with a private pool. Indulge in activities and entertainment with a sophisticated state-of-mind. Sip cocktails while dancing the night away at the disco and weekly beach parties, and become a sommelier with your very own wine tasting. If ultimate relaxation is more your style, reach nirvana at Sanctuary’s full-service spa. Guests at this resort can also take advantage of the special amenities at Punta Espada Golf Club. Every craving is satisfied at Sanctuary, thanks to their four gourmet restaurants. Say ciao to fresh pasta and creamy Panna Cotta at Capriccio, and spoil yourself with the flavors of Argentina at the Steakhouse. And with 24-hour room service, you can also kick back and relax for a quiet evening. Did we mention that these properties have the only My Time amenities in Cap Cana? GOGO has partnered with Alsol to bring you more unique amenities than ever. In addition to Alsol’s world-class service and accommodations, you’ll enjoy this exclusive service which offers unique recognition, special amenities, and a level of service that goes beyond expectations at your chosen hotel. The best part is these My Time benefits are completely free just for booking Alsol on a GOGO vacation package from your travel agent. Plus, every hotel has their own unique My Time benefits that add to your vacation in their own way. Along with the remarkable benefits above, your stay with Alsol Tiara Cap Cana and Sanctuary Cap Cana by Asol includes a $100 credit to use towards the spa and romantic dinners on the beach, a surprise welcome gift from the resort, and 20% off the resorts’ premium wine and champagne list. 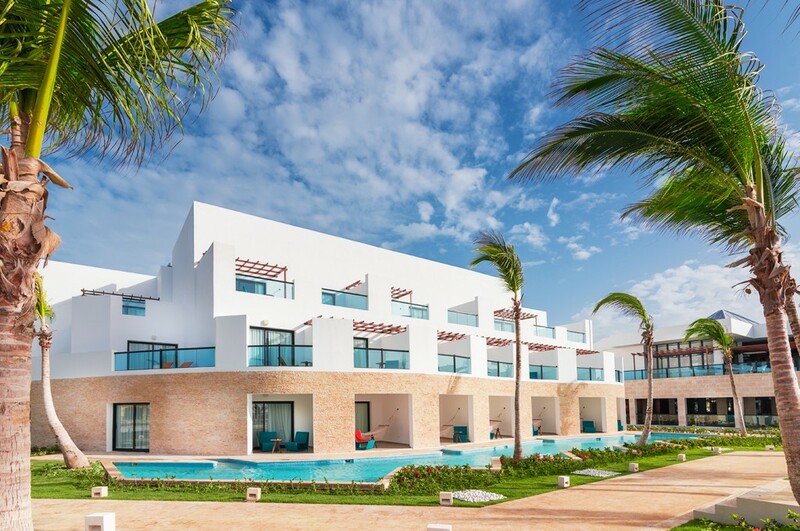 Cap Cana has the unparalleled service you’ve been looking for, and Alsol Tiara Cap Cana and Sanctuary Cap Cana by Alsol are the luxury retreats you need. Be pampered with the added inclusions of My Time and book your vacation to a Alsol property with your travel agent today.